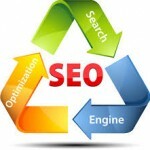 SEO for online businesses from start-up enterprises to large companies. Our SEO services are very affordable and offer great value to any business. SEO or Search Engine Optimization is the process of optimizing your website to make it search engine friendly and then building its authority over the Internet so that search engines like Google trust your site and its content and then show your site on top when someone searches for your services or products. GOOGLE – Get found in Google Search When Someone Search For Your Service Or Product. BRANDING – Improve Brand Visibility with Content and Social Marketing. SOCIAL TRAFFIC – Get Visitors from Social Sites. REFERENCE – Get Reference From Hundreds Of Website With Off Page Seo Activity. FREE TRAFFIC – No Need To Pay To Google, Bing For Visitors. AFFORDABLE – Pay Only For 3-4 Month SEO Activity For Lifetime Free Traffic. SMO, Some call it social media optimization. Others refer to it as search marketing optimization. Either way, it is the next wave of online marketing, the perfect marriage between search engine optimization (SEO) and social media. As a business in the Internet Age, you can’t exist without addressing the critical issues of online visibility and customer interaction. That’s exactly what SMO is designed to do. Your online presence is critical to your success in today’s market. At SMO Pros, we’ve got you covered. From design to content to advanced functionality, our experienced professionals can help you navigate the “World Wide Waters” and build the foundation for Internet marketing success.